Friendly staff , great doctor & hygienist! 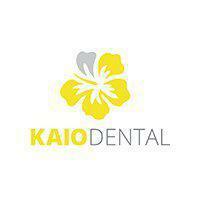 I had a great experience for my first visit to Kaio Dental. Dr. Tram made me feel very comfortable and took away my fear of the dentist. My experience with the dental hygienist was good. No problems. I don't think I have ever left a dental office feeling as great as I did yesterday. Such a welcoming staff! I am looking forward to my next appointment. Thank you! I was very happy with my first visit. Glad I made the decision to switch. My kids love it here...thank you!!! Kaio Dental made me feel right home. I'm happy with the advise and also I'm put at ease with the work they've done, they respect your decisions. I will be back soon! I love Dr. Tram and his team. They are very comforting. Very gentle! They take away the nerves with calming music, and they provide a very cool atmosphere. Great experience! Thank you for taking the time to explain all procedures and answered all my questions. All your staff is very courteous, friendly and professional - I loved that too!! My dental experience with Dr. Tram was very straightforward and smooth. I came in because of wisdom tooth pain and Dr. Tram assessed the situation and extracted the teeth. He explained why I was having pain and explained the whole procedure. The procedure was painless and I felt comfortable throughout. Dr. Tram and assistants are very thoughtful throughout the process and take extra measures to make sure all my needs were fulfilled. They even put Vaseline on my lips to keep them from drying throughout the procedure, a simple but often overlooked step. As for costs, assistants notified me exactly how much everything would be when I was consenting for the procedure. This prevented any surprise costs in which we have all encountered sometime or another. Overall, I would recommend Dr. Tram to anyone. I will definitely be coming back. Dr. Tram and his team are a great group of people. Never once did I feel nervous or uneasy about my visit. Dr. Tram is a straight shooter and will tell you how it is, which is something I really appreciated. I will be coming back and am glad to make Dr. Tram and Kaio Dental my new dentist. Keep up the great work!